This fourth album, which Marc Bolan released in 1970 under his Tyrannosaurus Rex incarnation, introduced fans to new percussionist Mickey Finn, and is furthermore notable for being the first album on which Bolan used electric guitars. 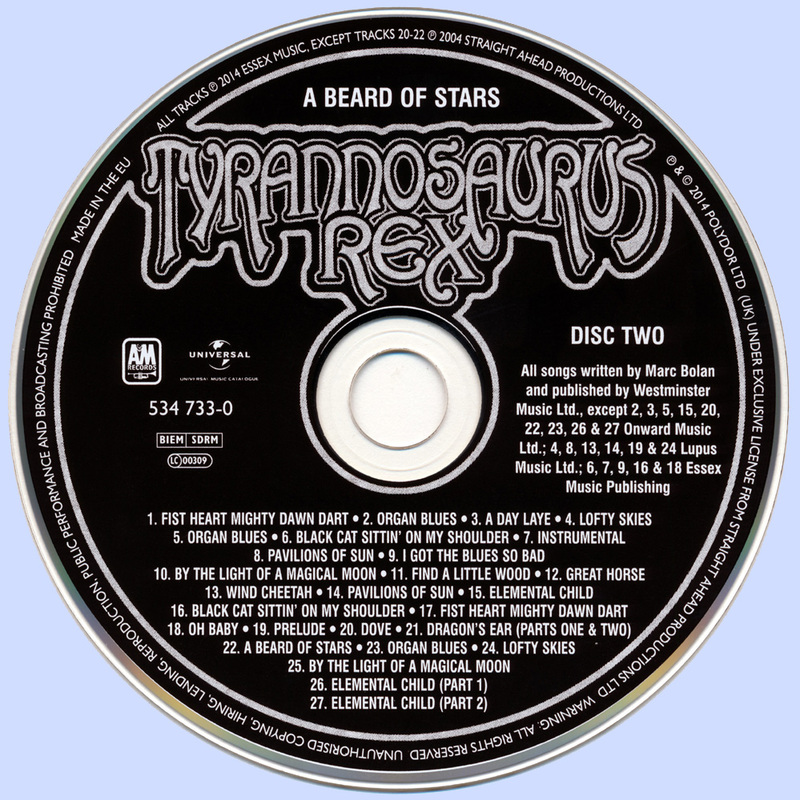 Now available as a new 2-CD Deluxe Edition, complete with new sleeve notes from Mark Paytress, A Beard Of Stars captures the transitional moment between Marc’s star child and boppin’ elf periods… an artist as yet galaxies away from the glam rock sound that would catapult him to super-stardom. With new musical partner Mick Finn in tow (after having had a fallout with previous percussionist Steve Peregrin Took), and with the sole agenda in mind to move one step closer to international success, the album is comprised mostly of folky psychedelic tunes seemingly concocted in the realms of Tolkien land, while on the other hand sharp e-guitar riffs set an unexpected contrast to the usual airy-fairy vibe Bolan’s music was known for. The instrumental Prelude is a warm sounding intro, with an e-guitar play that remains understated… just as A Day Laye remains folky, with a hippy-dippy air to it and some fine catchy hooks. Woodland Bop comes on rather unsettled in structure, while the more melodious Fist Heart Mighty Dawn Dart makes more use of e-guitar sounds, and certainly does so by picking it sharply during Pavilions Of Sun. First real highlight turns out to be By The Light Of The Magical Moon – a thoroughly accessible and surprisingly poppy sing-along number with a choppy and upbeat rhythm. 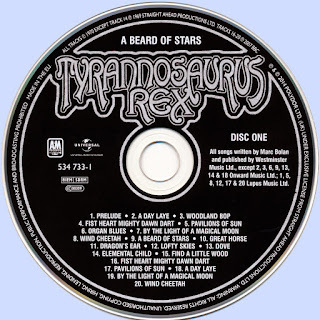 Thankfully, the electric guitar derived title track A Beard Of Stars bounces the listener back to groovier places (in the head at least), with the bongo play upping the happy factor. Lofty Skies is a pleasant enough love song interspersed with guitar twangs, though the ground doesn’t exactly shake upon listening to it. We still get Marc the cosmic warbler on Dove, but oh boy what a changes are unleashed when he lets rip on closing number Elemental Child! Fuzzed up guitar riffs are delivered hard and edgy, and are obviously inspired by Hendrix. 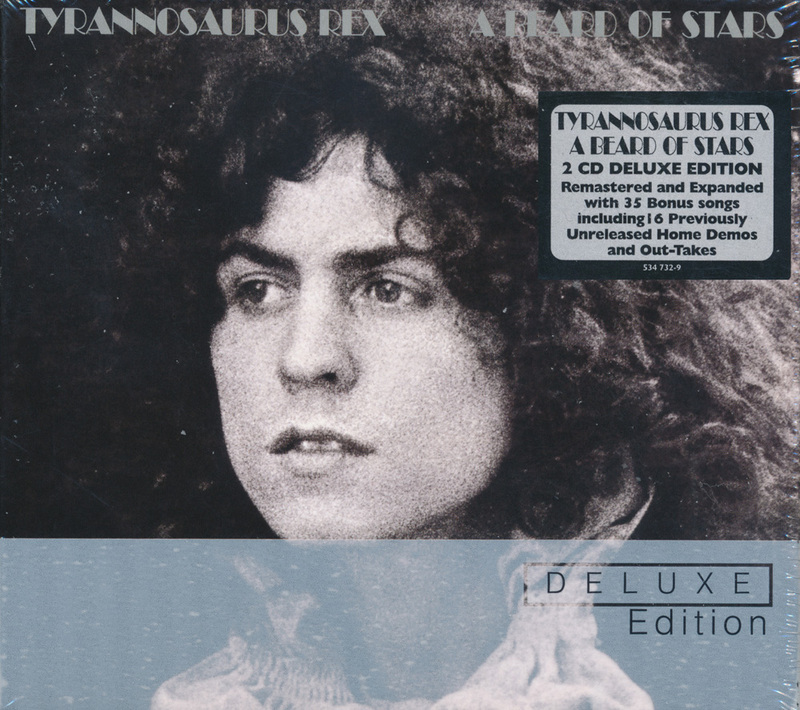 This track definitely offers a taste of the style and direction future Bolan compositions would take, while the album itself proved to be Bolan’s farewell to his mysticism-laden 60’s sounds. Disc One, the original album, furthermore contains some Bonus Tracks incl. B-side single Find A Little Wood, as well as John Peel BBC Sessions. 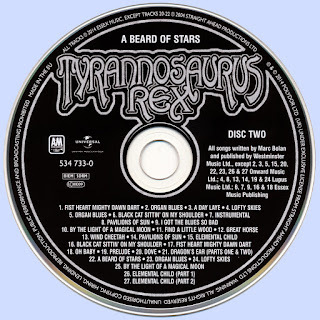 Disc Two contains 27 songs including 12 previously unreleased home demos, and 4 previously unreleased alternate takes from the Trident Studio sessions which produced the album. 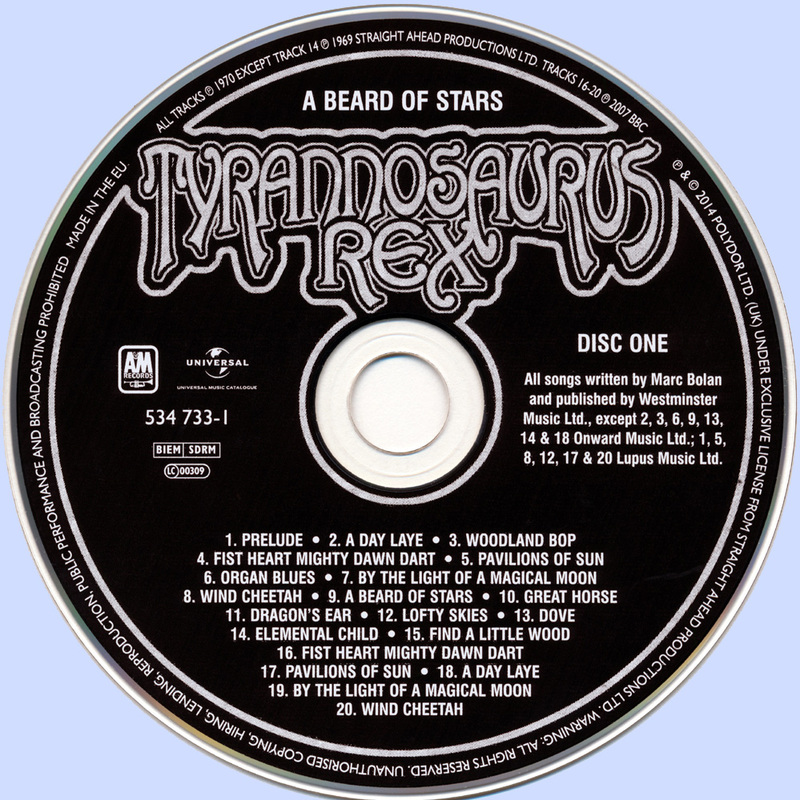 The outtakes, many previously unreleased, has been handpicked by T. Rexpert Clive Zone - who also provides memorabilia for the booklet.